I am just doing to dive straight in with my Sunday Catch Up. I have been ordering a few bits and bobs, keeping the Postman working in the snow. I discovered an adorable website called Cute Cosmetics. I came across this one after a tweet about a review on a blog but my memory fails me who’s blog it was (sorry). Cute Cosmetics stock vegan, organic, natural and cruelty free beauty products. My favourite page on the site is the lip balms. Here you will find Balm Balm, Crazy Rumors, EOS, Figs & Rouge, Gwdihw, Hurraw!, Love & Toast, Nougat and Smith’s. The selection of brands and flavours is a little over whelming. In the end I decided only to buy Amaretto which has this yummy flavour similar to marzipan. I recently ordered a sample from Elemental Beauty. My second pot of BM Beauty finishing powder is coming to an end so out of curiosity I did a quick google search for other brands. I ordered a sample of Finishing Powder in Dewy and I also received a freebie sample of an Iluminator in Rosy Apple. First impressions are good. The finishing powder is very pretty and has slightly more shimmer than BM Beauty. I like the Rosy Apple it warms up my complexion. 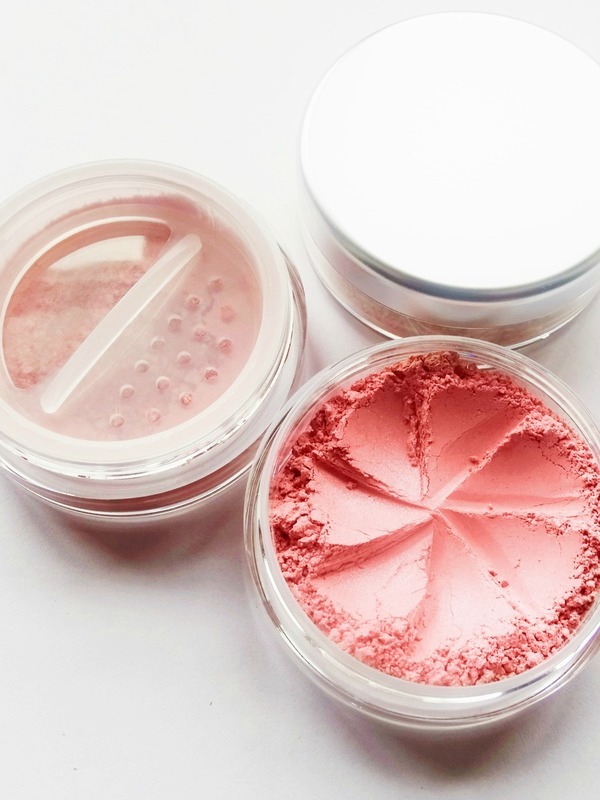 Elemental Beauty is vegan and they do not use Talc, Bismuth Oxychloride or fillers in any of their make up. Finally, I just wanted to share with you a couple of blogs I have discovered recently. These may be of interest to those of you who suffer from allergies or anyone who has an interest in allergy friendly cooking. Check out Miss Glutenless I am going to attempt to make the Toffee Apple Flapjacks today. Also have a look at Pig in the Kitchen. Your welcome I hope you find the blogs interesting.